TAG Heuer has partnered with the 2017 editions of the Amgen Tour of California and Amgen Breakaway from Heart Disease(TM) Women’s Race empowered with SRAM. 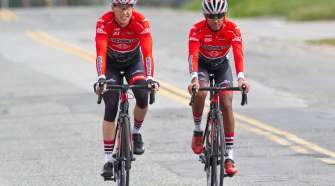 The world’s best professional cyclists will compete over a challenging course along California’s most scenic highways, roadways and coastlines. 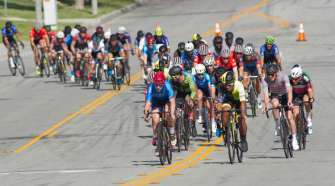 From May 14-20, the men’s seven-day, seven-stage race will begin in Sacramento and travel south through California’s Central Coast, before finishing under the palms of Pasadena near Los Angeles. From May 11-14, the women’s four-day, four-stage Amgen Breakaway from Heart Disease(TM) Women’s Race empowered with SRAM event will take place in Northern California. 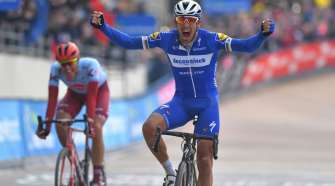 With a roster brimming with the world’s most elite international teams featuring National Champions, Olympic Medalists and Tour de France Stage Winners, the event is known for making cyclists like Peter Sagan, Bradley Wiggins and Mark Cavendish household names. For the first time since the men’s race was founded in 2006, the 2017 Amgen Tour of California will be featured in the official UCI World Tour calendar. Race owners and promoters AEG officially announced today that TAG Heuer will partner with the event as the Official Timekeeper of the Amgen Tour of California. The partnership further establishes TAG Heuer’s position as preferred timekeeper for the major professional cycle races around the world. The Swiss watch brand will also take on the designation of Official Watch partner and presenting sponsor of the Best Young Rider jersey awarded daily to the rider under the age of 23 with the least amount of elapsed time over the entire race to that point. This prestigious jersey, bearing TAG Heuer colours is being designed by Alec Monopoly, the brand’s new Artist Provocateur. After a 20-year absence, TAG Heuer has made a high-profile return to cycling. In 2017, the Swiss watch brand has become a partner to BMC Racing Team, the Dubai Tour and the Abu Dhabi Tour. 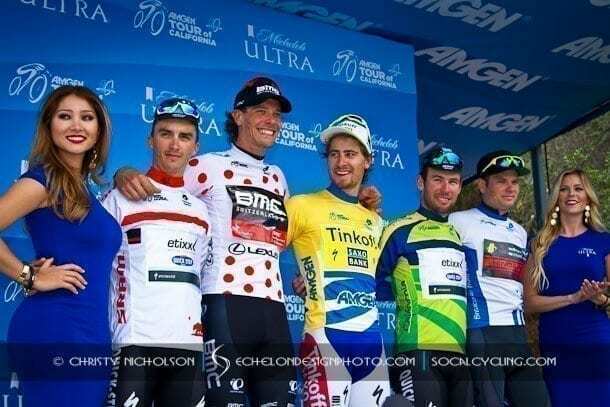 Now, the Amgen Tour of California will be sporting TAG Heuer colours. The first pairing of professional cycling with the brand dates back to 1946, when pocket chronometers for measuring time during races and trials are first mentioned in the brochure of Swiss watchmaker HEUER. In 1985 – more than 30 years ago – TAG Heuer ventured in earnest into the world of professional cycling as sponsor of the HEUER SKIL SEM team and its leader Sean Kelly. From 1986-1987 to 1990, the brand’s involvement continued with Team KAS TAG HEUER and the American 7-Eleven Cycling Team, founded by none other than Jim Ochowicz – the current President and General Manager of BMC Racing Team whom TAG Heuer is partnering with again today. In 2017, BMC Racing Team, the Dubai Tour, the Abu Dhabi Tour, the Cadel Evans Great Ocean Road Race and now the Amgen Tour of California will be on TAG Heuer time.